Cross-border purchases are forecasted to triple in the next two years and businesses are now faced with finding solutions that will help them access this crucial market. In 2013, cross-border shoppers spent a total of $105 billion and that figure is slated to grow to $300 billion by 2018! Pivotal Payments is poised to seize this great opportunity through GlobalOne, a payment gateway and global acquiring platform that gives e-commerce merchants the opportunity to pursue worldwide expansion. Robust Gateway: Simple to integrate with over 130 supported banks and networks across the globe. Multi-Currency Processing (MCP): Price and sell in over 60 currencies and generate more revenue by offering an enhanced shopping experience. MCP has been shown to generate a 12% revenue lift. Auto Account Updater: Avoid declines due to expired cards or account number changes and increase your approval ratio. Smart Transaction Routing: Pay the lowest possible rate by optimizing transactions to the most cost-efficient acquirer, improve authorizations and minimize risk. Alternative & Local Payments: Accept payment types that are specific to the country or region where you do business. Advanced Tokenization: Reduce PCI scope and liability while maintaining all billing functionality. Auto Recurring Billing: Automate installment payments and subscriptions to streamline your operational efficiencies while increasing your revenue stream. 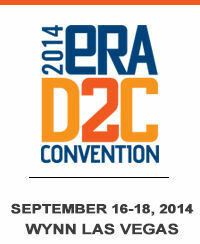 We hope to see you at the ERA D2C Convention and look forward to speaking with you about how GlobalOne's e-commerce solutions can help grow your business, generate more sales and maximize revenue!